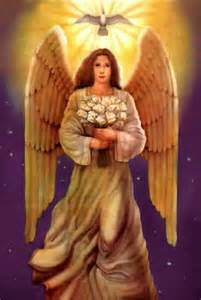 I, Archangel Gabriel, am known for my devotion to the creativity of the Creator as well as supporting children upon the Earth. It is my purpose to bring the creative force of the Creator into manifestation through all beings to manifest the expression of the Creator. The creative force can be expressed in so many diverse ways which allow souls to connect with the Elixir of Truth within them. Children are naturally creative and are in connection with the Elixir of Truth within their beings. They harmonise the creative energy and truth vibrations of the Creator demonstrating their natural truth and a very pure way of existing. Such a way of being, touches others and fulfils their own needs, creating experiences of deep connection and union. Each soul’s natural existence is to experience and be union, oneness and connection. The creative force of the Creator merged with the Elixir of Truth brings forth the presence of your truth. It is the radiating presence of truth within you that I, Archangel Gabriel, name your Elixir of Truth. An energy of truth so deep and at the core of your being, it is often concealed and goes unrecognised by many, as there is a need for alignment with and acceptance of self in order to activate this most sacred aspect of yourself. When you allow yourself to enter onto the journey of mastering your being, especially your mind, you clear away distractions and begin to recognise the subtle and sacred energies of who you are and your relationship with the Creator. This supports you in melting deeper into your essence and recognising aspects of your self which are your power, strengthen and sacred abilities. Merging and melting beyond these recognitions and acceptance of your essence allows you to enter into a deeply sacred space. This sacred space is often referred to as an unspoilt or untainted continuous state of peace. Many describe it as entering into an ocean of peace which awakens all your senses as you become dowsed in the healing presence of peace. While peace is your experience you are actually being guided by peace into your Elixir of Truth, a space where your deepest and most intimate connection with the Creator is revealed to you. Your purest expression of the Creator and abilities of expressing the Creator are also revealed to you. Your Elixir of Truth is a synthesis of your ability to receive and express the Creator at the purest form beyond separation, illusion, ego, limitations and fear. Therefore, it is breathtakingly beautiful to recognise, embody and experience as well as deeply fulfilling, awakening and healing. To rediscover your relationship with the Creator at the deepest level possible creates shifts within your being which are major, transformational and deeply enlightening. There may be many things in your spiritual and physical reality you feel you need and desire, when you connect with your Elixir of Truth, your understanding of yourself, the Creator and your reality shift, causing you to recognise that everything you are is everything that is the Creator. Your experience of being fulfilled multiplies and your needs and desires alter. This is why I, Archangel Gabriel, wish to make you aware of your Elixir of Truth, when you allow yourself to truly connect, this experience can be life changing. I, Archangel Gabriel, wish to share with you that you can seek connection with your Elixir of Truth and this will strengthen your connection with yourself and the Creator, as well as enhance your experience of peace and creativity. However, your Elixir of Truth will only be truly revealed to you with divine timing, when you are truly ready to recognise the truth and reality of the Creator that can be experienced through focusing into your being. The more you master your being, allow yourself to be a sacred expression of the Creator and follow the pathway of peace into your being you will find it easier to access and discover your Elixir of Truth. Even when you connect with your Elixir of Truth you will discover it as a continuously unfolding and blossoming journey of intimate connection and bonding with the Creator. A force that will seem so familiar to you and yet so expansive, unknown and generous. I, Archangel Gabriel, call upon you to invite me to work with you energetically and during meditation to reveal to you your creative force born through you from the Creator. In doing so, I will support you in connecting with your creative force, understanding how to activate it and use the energy in your daily reality as well as connecting with how the creative force wishes to be put into motion in your reality. I wish to aid you in becoming a master of expressing your creative force in ways that serve and support your spiritual and physical existence upon the Earth. A simple request to me during quiet time or during meditation will allow you to open to my support and guidance. Your request can be put to me daily in order to fully explore with me this aspect of your being. Another step which allows you to continue your journey of seeking an experience with your Elixir of Truth is to focus upon the natural presence of peace within your being. The more you connect with your inner peace, the more you will feel the presence of peace drawing you deeper into your being. You may wish to repeat in quiet time or meditation to yourself, ‘I now follow the pathway of peace into the core of my being.’ Repeating this silently followed by a period of simply focusing on your breathing will allow you to feel yourself following a pathway of peace into your being to access your truth. With preparation so you will be able to meditate asking to be taken to your Elixir of Truth within you, for your full experience of your Elixir of Truth. Thus, your unfolding journey with the Creator will be empowered and magnified with clarity, understanding and awareness dawning. Your intention to access your Elixir of Truth within you will create an opening and begin a process of awakening. Enhancing your relationship with the Creator and recognising your pure expression of the Creator which can be delivered and experienced upon the Earth, will offer to you clarity. While you may not immediately experience your intimate relationship with the Creator or understand how to express the Creator purely and creatively through your being, you will begin to access a deeper sense of clarity which will guide and support you tremendously through this period of ascension. Clarity is the main energy anchoring and being awoken from within your being as you enter into the cycle of 2019, therefore connecting with your Elixir of Truth will only enhance your experience of feeling balanced, connected, unified and clear as you begin a new journey in 2019. 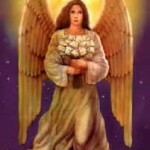 I, Archangel Gabriel, am present to support and assist you in any way that is beneficial for your spiritual growth.